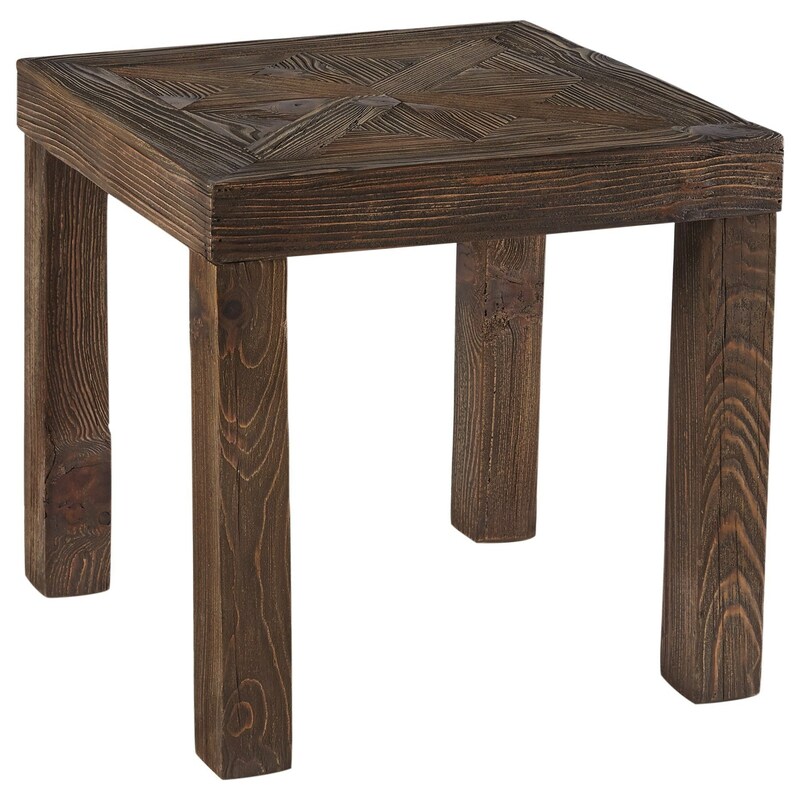 Constructed of reclaimed pine solids and featuring a striking geometric-patterned tabletop, this rustic end table is stylishly designed and built with quality. The dry brown finish completes the look of this piece flawlessly, making it a welcomed addition to any living room space. The Ossereene Rustic Square End Table by Signature Design by Ashley at Sam Levitz Furniture in the Tucson, Oro Valley, Marana, Vail, and Green Valley, AZ area. Product availability may vary. Contact us for the most current availability on this product. The perfect intersection between rustic and modern, these occasional tables will add quality and convenience to your living room space. The Ossereene collection is a great option if you are looking for Rustic furniture in the Tucson, Oro Valley, Marana, Vail, and Green Valley, AZ area. Browse other items in the Ossereene collection from Sam Levitz Furniture in the Tucson, Oro Valley, Marana, Vail, and Green Valley, AZ area.